﻿ Buddy Lodge Hotel, Bangkok | FROM $37 - SAVE ON AGODA! "Overall I was very satisfied with my visit." Have a question for Buddy Lodge Hotel? "Great location on Khao San Road." 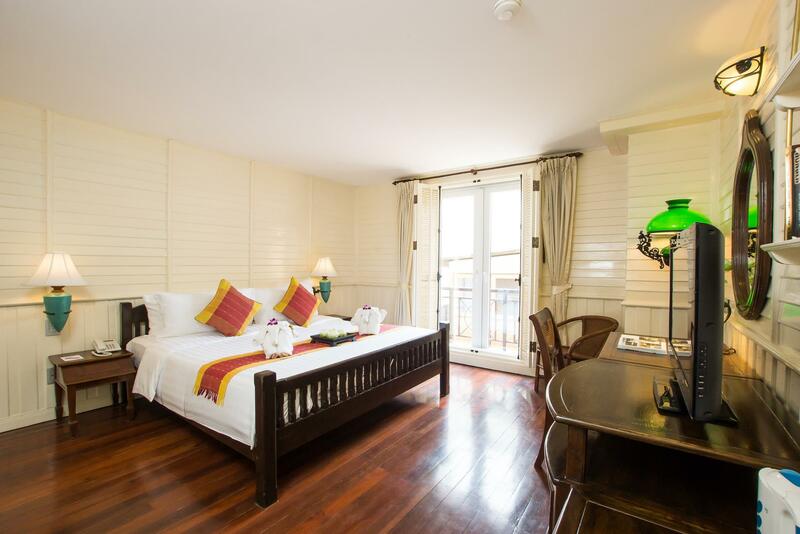 "Fabulous location in the heart of Khao San Road." 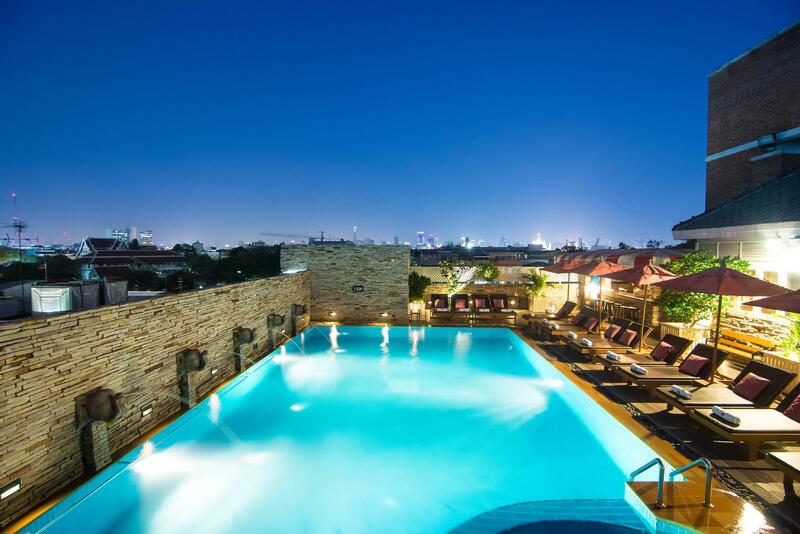 "BuddyLodge has always been one of my favourite hotels in Bangkok and the new manager (a Westerner guy) is really professional and helpful." "We had a pleasant stay at the hotel." A visit to the Buddy Lodge Hotel will make your Bangkok trip much more memorable and enjoyable. The hotel is well-positioned in the center of Bangkok, so you can hop out of bed and start exploring the area right away. The rooms here look out over the city, so you can look out at the busy city streets. This hotel is close to places of interest such as Buddy Tailor, New Boston Tailor, Khao San Road, Sogo Boss Tailor, and Thai Armani Fashion. Featuring a fitness center, a spa, table tennis, a nightclub, and ticket services, the Buddy Lodge Hotel has everything you could want to make your time away as comfortable as can be. Offering guided tours, this hotel is the perfect place to stay to learn about your surroundings and see everything you can while you're here. Whether it's a bar or a poolside bar, it has a selection of dining and snacking choices. With a selection of shops, a smoking area, a convenience store, a currency exchange, as well as safety deposit boxes, it has an assortment of convenient features to make your stay more comfortable. It offers family rooms, so you can all spend quality time together during your stay. The Buddy Lodge Hotel has a kids swimming pool to keep your little ones happy and entertained during your visit. There's free Wi-Fi available in all rooms, as well as Wi-Fi in common areas, ensuring that visitors are able to contact their friends and family. From daily housekeeping to laundry services, the Buddy Lodge Hotel has a range of useful services for you to utilize. All of the rooms come with air conditioning, a hair dryer, satellite or cable channels, and an in-room safe box. They also have a shower, bathrobes, a coffee or tea maker, a desk, and more. The hotel is pet-friendly, so you can keep your dog at your side throughout your stay. The front desk is open around the clock, so there is always someone on call to answer any questions that you have. The Buddy Lodge Hotel offers a 24-hour check in and check out service, allowing you to arrive at an hour that is best for you. This Bangkok hotel offers a range of transportation options, such as airport transfers and taxi services. Hua Lamphong MRT Station is 2.8 km away and Hua Lamphong Railway Station is 2.9 km away. The nearest airports are Don Mueang International Airport (DMK) and Suvarnabhumi International Airport (BKK), which are situated 20.7 km and 28.3 km away. Very good and affordable price hotel in Khaosan area. We found a cool swimming pool in the 5th floor, helpful travel agency, tailor, McDonald and dessert cafeteria within the same building with the hotel. I believe this hotel will help you maximize your experience in Khaosan area. Buddy Lodge was a sanctuary in the heart of Khaosan Road - I had asked for a quieter room and got one - once inside I could not hear the madness outside - the hotel room was clean and quant - The roof top pool was an amazing place to escape the heat and the madness of Bangkok- the staff were extremely helpful - the only issue was the bathroom was small but recently renovated - not a big deal - I would totally recommend The Buddy Lodge! We’ve stayed at hotels in the Khaosan road area and just accepted that it would be loud at any hotel in that area. We love that area so we didn’t mind the noise. We came here and were greeted by a lovely staff! I booked the superior king but was offered a quieter room in the back but it was 2 doubles. We didn’t mind as long as it was quiet. We loved how quiet our rooms were! We were on the 5th floor by the pool. It made our last week stay in Thailand so much more enjoyable. Thank you and we will be back! Location is great - close to everything. gym & pool are clean and well maintained. The staff is the friendliest I have ever seen. Really. The English speaking guy at the reception is so friendly and you can clearly see that he cares about your stay Will come back again. Loud and hard to sleep but that was expected. Great location to start your journey. Had a nice pool and workout room. McDonald's downstairs for when your all Thai'd out. Two nightclubs front and back, it's own travel agency downstairs, coffee shop downstairs, bakery, and more. Everything you would need. We had an absolute amazing stay at the Buddy Lodge Hotel. The staff is extremely helpful and kind. John the manager really goes the extra mile in terms of customer service. The rooms are great and the pool is the cherry on top. We look forward to coming back! On my first trip to Thailand I wanted to stay on Khaosan Rd. and through my research I stumbled across the Buddy Lodge Hotel. Overall I was very satisfied with my visit. The rooms were clean and tended to daily. There is a coffee shop and a night club in the same building. When you step out of the hotel you're literally in the middle of the party. Keep in mind that due to this it is VERY LOUD until 3-4am. But the hotel itself was perfect and the prices were more than fair. I also spoke to one of the managers, John P., On several occasions and he answered all of my questions. If you're looking the perfect party-goer hotel then I highly recommend the Buddy Lodge. And for a fluent English speaking manager, ask for John. Happy travels! Excellent stay at this hotel. One of the best we had on our trip to Thailand. As it is right on the main strip, we put a request in to be near back of building and the hotel staff were extremely accommodation to this. Wasn’t loud in our room at all. Pool upstairs was wonderful break from the action. Excellent staff and location. Highly recommend. Only down side was price for the extended night we want was a little out of budget, but the first night we had was wonderdul. His hotel is very good, it’s eight off khaosan road, and a bit noisy, but close to everything, you can walk or take a quick tuk tuk to many temples and three palace. If you want to be in the heart of the action, it’s fantastic, and tours will pick you up easily here. We arrived at buddy lodge at 10am. The staff was very friendly and allow us for early check in. This was what we needed after an early flight that we had. The room was very clean. Eventhough this property was surrounded with clubs, we barely hear any loud sound from our room. Our room was at the 5th floor. They gave 2 free water bottle & replenish shower gel & shampoo everyday . On our last day of staying, they allow us to have a late check out until 5pm since out flight is only at 9.30p . Thank you buddy lodge, great hospitality and I definitely recommend for others. You can find everything just few steps away from this property. Small, but beautiful and efficient room with canopy bed. Nice little balcony, door shutters. Small but nice pool on a hot afternoon. Rooms in the back are quiet. Great location for shopping, international restaurants, and site-seeing. Very clean. The staff is so kind and helpful. I have stayed here before and will stay again when I need a place in BKK. Very central on Khaosan Road, which is both handy and noisy. Thin walls, so not great if you have loud neighbours. Room had plenty of space and was very clean. Staff at hotel and associated tour agent helpful. Would recommend for people who enjoy nightlife, not for families. Well came a bit early so our room wasn’t ready, instead of making us wait the manager John upgraded us WoW real nice room!!! The gym is nice and have a sauna and a steam room. The location is great just at the beginning of Khawsarn Rd. Great helpful staff. Would definitely come back again the end of June. We had stayed here before a couple of years at which time they still had the option of including breakfast at the nearby buddy beer. We were a little. Surprised to hear that the breakfast was discontinued but still like the hotel if you wish to be in the center of the action for Khao San road shopping, drinks, food, massage etc during your time in Bangkok. We had the deluxe king bed room we had the deluxe king bed room which comes with a porch w/ table and chairs instead of the small balcony. I personally like the colonial style of furnishing and the fact that you have all amenities such as teakettle fridge hairdryer minibar etc. Frankly, the bathrooms could use a tuneup at this time, I felt. Otherwise we will still happy with the place and would recommend it for travelers desiring to stay directly on calls on Khao San road.